Surveys are a method of gathering information from different individuals. Surveys have a wide variety of purposes and can be conducted in many different ways. 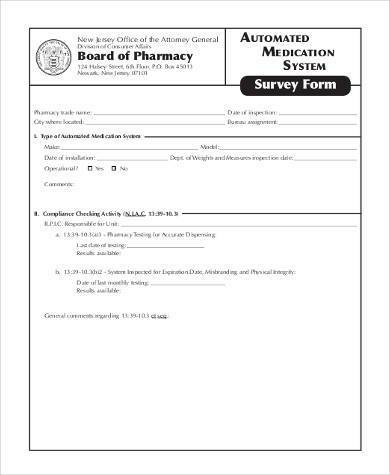 Surveys may be conducted to gather information through a printed questionnaire, over the phone, by mail, in person, or even through the web. 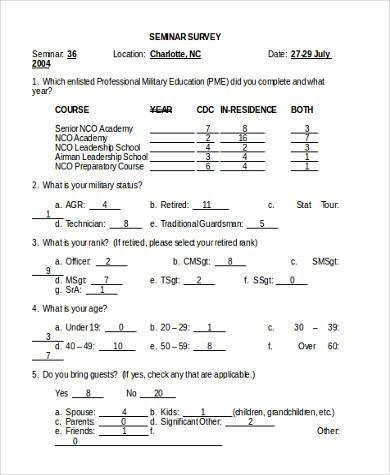 The information gathered through surveys could help analyze the statistics of different topics. 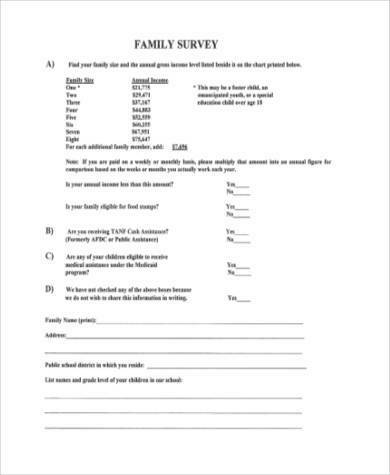 People can use the many different types of Survey Forms available here which will allow them to produce accurate and trustworthy surveys that could be used for future research. 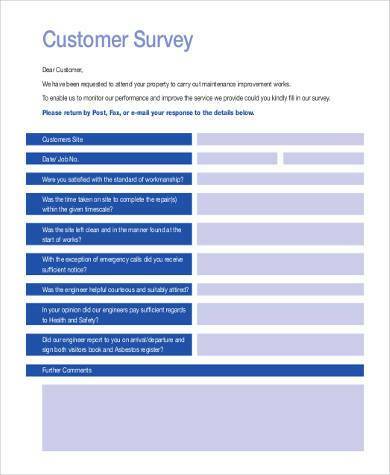 Customer Survey Forms are forms that are handed out to customers to assess how well their experience was in any establishment and if they were satisfied with it or not. 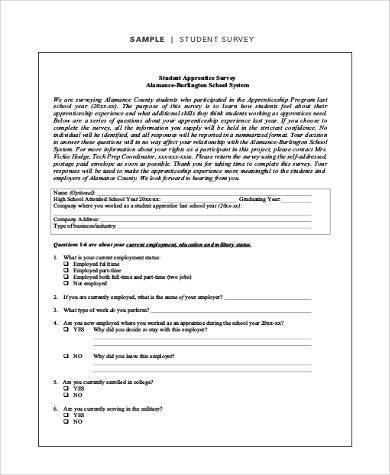 Employee Survey Forms are used to assess how well an employee performed his or her duties throughout his stay in the company. 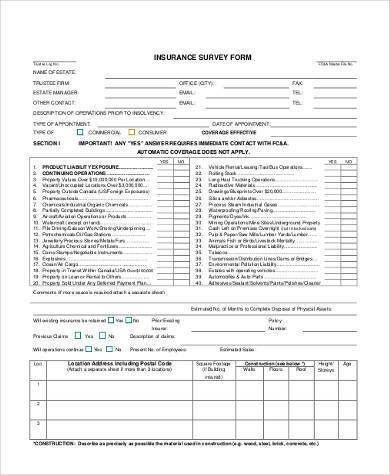 Insurance Survey Forms are forms that are used to evaluate the kind of insurance that a client has purchased and if the insurance meets what the client requires from it. 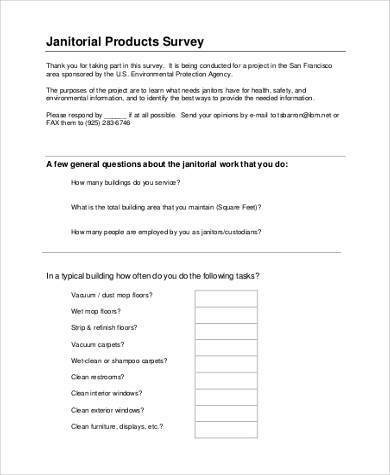 Product Survey Forms are forms used to assess the quality of products that a company sells to the public. 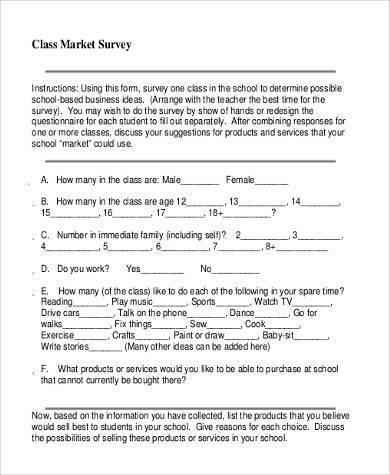 Market Survey Forms are the kind of forms that are used to assess the situation within the market. It could be that there’s more competition and these surveys help in checking the different kinds of competition within the market. 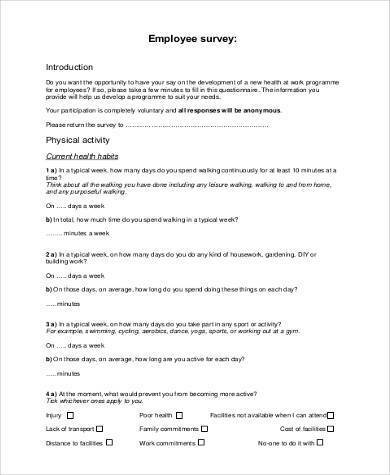 Student Survey Forms are for the students to assess the quality of school life they have and if they’re satisfied with the school or not. A survey can help answer many questions a business has about its potential clients, make decisions with the help of objective information, and compare statistics in time. These can even help assess if a customer is happy with the kind of product or service they receive via the use of Satisfaction Survey Forms that can be handed out to them. They are important because they’re the most reliable method to get real feedback from clients or customers. It helps businesses know of the different information that could possibly improve the status of their company and figure out what the consumers want and the changes businesses need to make. Surveys are a hit or miss. If done right, then it could lead to very promising results that will affect a business in the long run.